It can be difficult to think about the day your senior loved one will need in-home care. Planning for your loved one’s long-term care could prevent your family from facing various issues down the line. Take a look at some of the steps all family caregivers should take when planning for long-term in-home care. If you wait until your loved one actually needs in-home care, you may have to make a rushed decision without properly interviewing and vetting the caregiver. However, by researching long-term in-home caregivers ahead of time, you can browse through the lists of qualified professionals. This gives you the ability to research qualifications, including education, training, licensure, past references, and hiring practices. Do not rely solely on the information you find online or through referrals. Conduct interviews and meet with some caregivers and administrators within an organization to determine if this is a provider you would choose in the future. Families who need help caring for a senior loved one can turn to Home Care Assistance, a leading provider of Oshkosh, WI, home care. Services available in our customizable care plans include meal prep, mental and social stimulation, assistance with personal hygiene tasks, and much more. 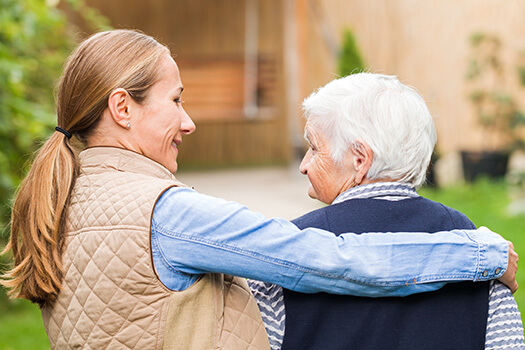 Planning ahead for the cost of long-term in-home care is an important step because you want to make sure your loved one has the best care possible. However, you also need to have plenty of money to cover the costs. If your loved one has special needs such as living with a chronic condition, you need a caregiver who specializes in that area. It may cost more for specialized care, but by planning ahead you can save the funds necessary to cover this cost. There may come a point in your loved one’s life when he or she is not physically, mentally, or emotionally able to make health-related decisions independently. However, he or she can make those wishes known ahead of time via a living will and other legal documentation. Your loved one should also choose a medical power of attorney. Advance care planning ensures your loved one’s wishes are honored and that he or she has a trusted, designated family member or friend to make medical decisions. Living with a serious health condition can make it challenging for seniors to age in place. However, they can maintain a higher quality of life with the help of professional live-in care. Oshkosh seniors can benefit from assistance with meal prep, bathing, transportation to the doctor’s office, medication reminders, and much more. You must understand the early warning signs of cognitive decline. Sometimes seniors keep their medical diagnosis to themselves, or they withdraw from family and friends to prevent their symptoms from being noticed. It is important for you to check on your loved one in person to determine when it is time to step in and seek help. When pills go missing, laundry is piling up, bills do not get paid, and your loved one is confused more than usual, these could be signs he or she needs long-term in-home care. You will need to have a plan established that you can present to your other family members. One of the most challenging tasks of helping an elderly relative age in place safely and comfortably is researching home care agencies. Oshkosh families can turn to Home Care Assistance for reliable, high-quality in-home care for aging adults. We offer 24-hour live-in care for seniors who require extensive assistance, and we also offer respite care for family caregivers who need a break from their caregiving duties. For high-quality in-home care services, call us at (920) 710-2273 today.